The Cote Bleue Marine Park was created in 1983 on the basis of an experimental cooperation between local public authorities and professional small scale fishermen to implement a program for the sustainable development of fishing activity and protection of marine environment. 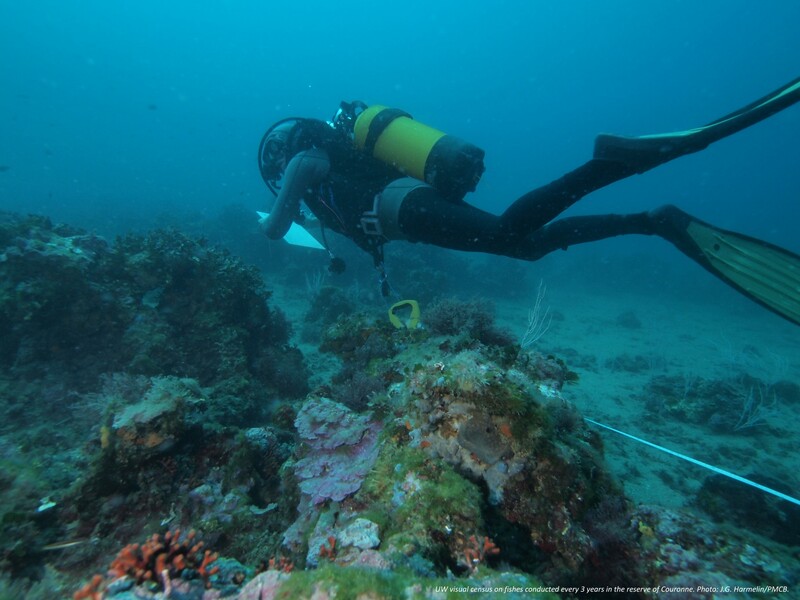 The territory of PMCB covers 9.873 ha, including 2 no-takes reserves of 295 ha and the deployment of 4.884 m3 of artificial reefs, both for production and protection against illegal trawling within the 3NM. The Park is a local initiative and was founded with a “bottom-up” approach, based on strong dialog process with fishermen. The association of local fishers within the PMCB's decision body is truly effective. 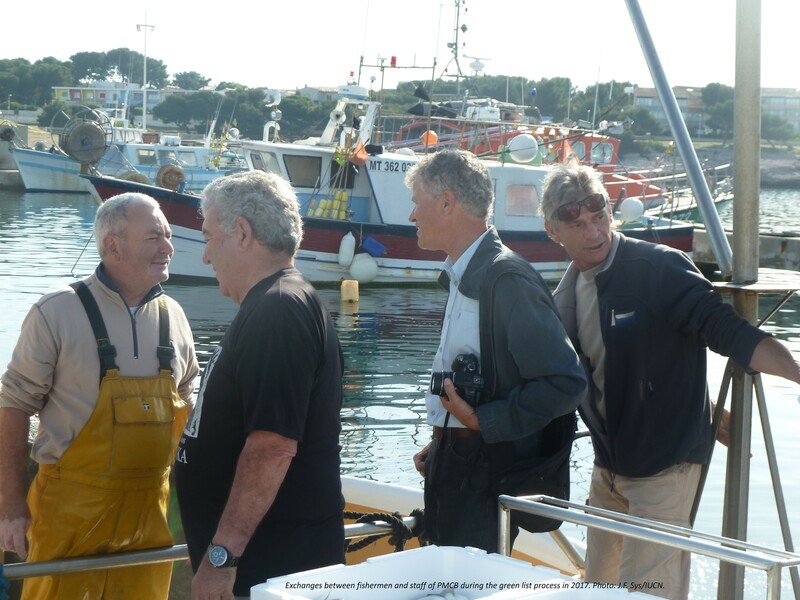 A real success was the re-conduction obtained for an unlimited duration of the 2 no-takes reserves in 2014, renewal asked by the fishermen themselves. In 2018, interviews of fishers on social acceptance showed that he level of trust with Marine Park is very high (82%), same as the level of support (77%). The Marine Park has daily contacts with individual fishermen in 5 ports through patrol at sea, interviews and monitoring on landing, effort, catches. The social acceptance of the Park is an important factor, which has conditioned its success for more than 35 years. 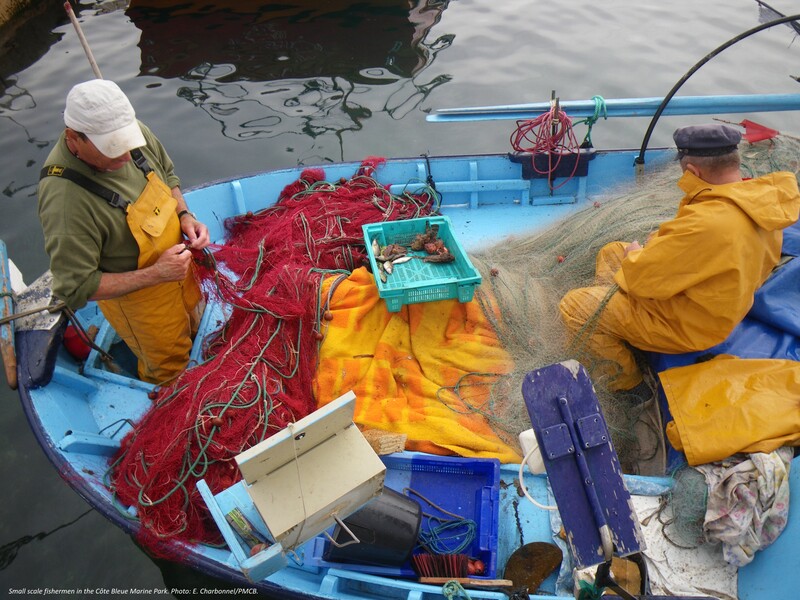 Professional fishermen feel integrated in the decision mechanism and the relationship between managers and them is based on trust and mutual exchange. 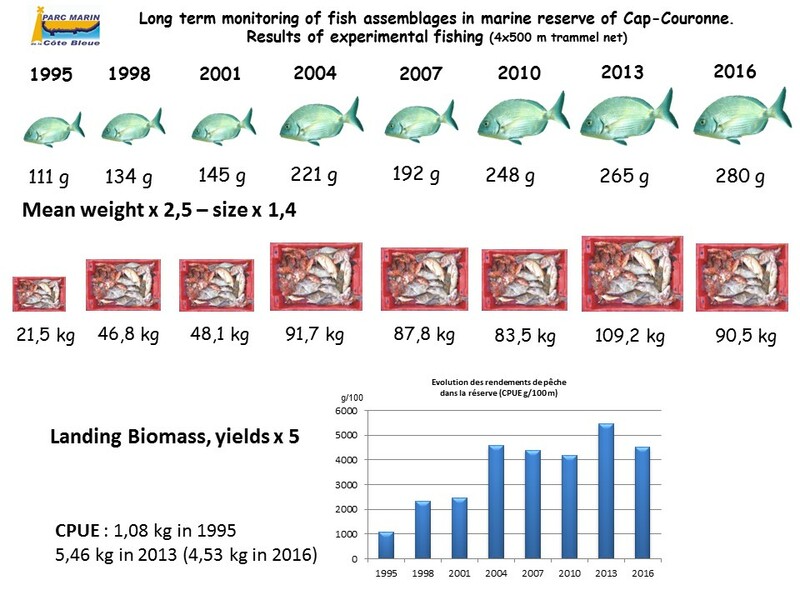 The protection and surveillance within the 2 no-take reserves is effective and led to a great increase in fish biomass and therefore to a reserve effect clearly observed: in 21 years, the mean weight of a fish increased by a factor of 2.5 and fishing captures have been multiplied by a factor of 5. 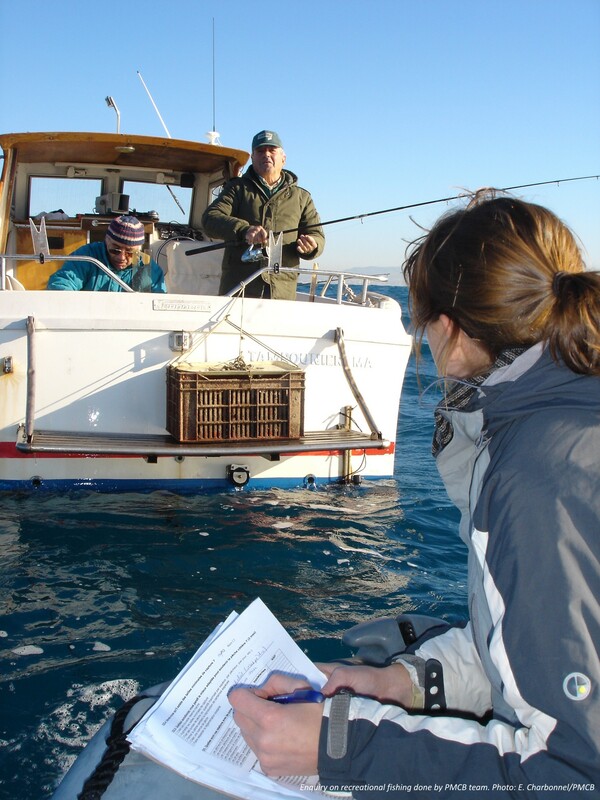 Recreational fishing is a fast-growing activity, with high performance technologies, which has never been taken into account in the management of fishery resources despite their catches are equivalent to those of professional fishing. Interactions with recreational fisheries seem to be higher, in the context of a global decline in the resource. PMCB conducts several programs and monitoring that have became references in scientific litterature, particularly on the "reserve effect". Since its origin, the Park also created awareness and educational programs for scholars, with the implementation of one week training courses on field. More than 27.000 children have been made aware.